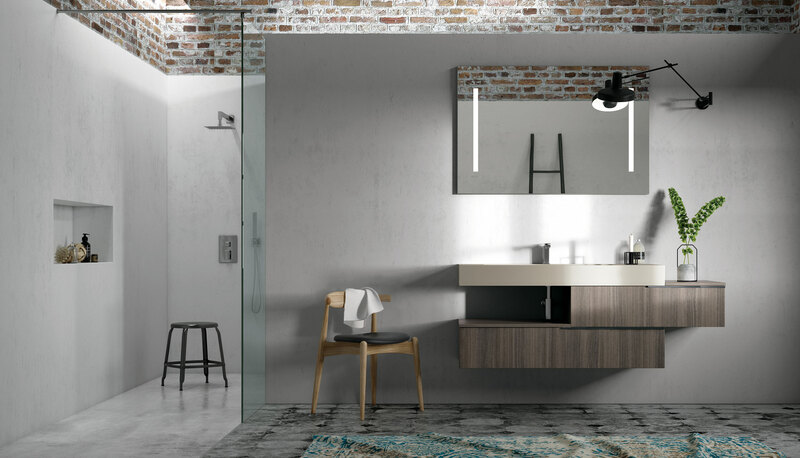 The architecture of the configuration, with offset base units, creates two additional surfaces for setting down towels and other everyday items. This leaves the ample storage space provided by the base drawer units free for other bits and bobs. 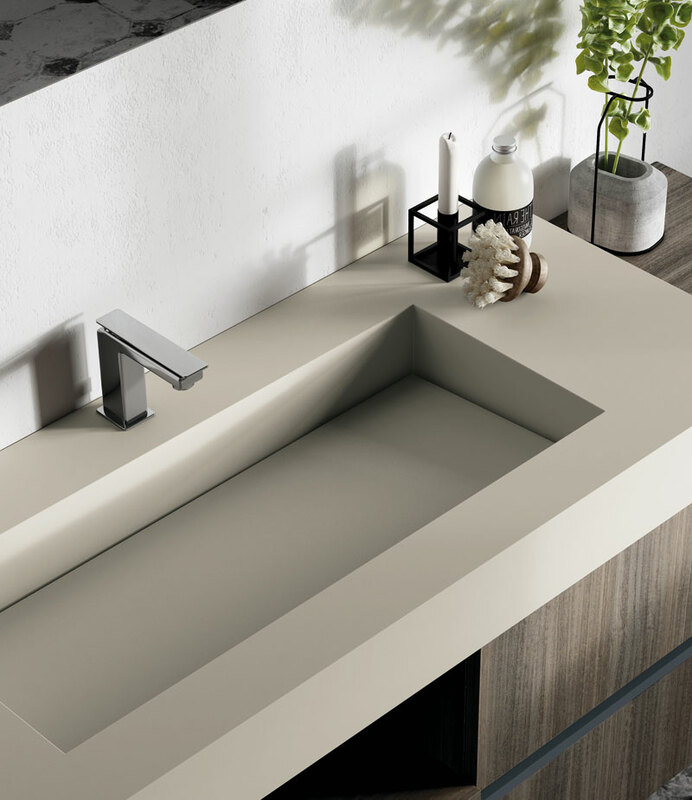 The basin is integral with the Gris Clair HPL top. The removable false bottom concealing the waste slopes to encourage water to drain into the slot running around the edge. 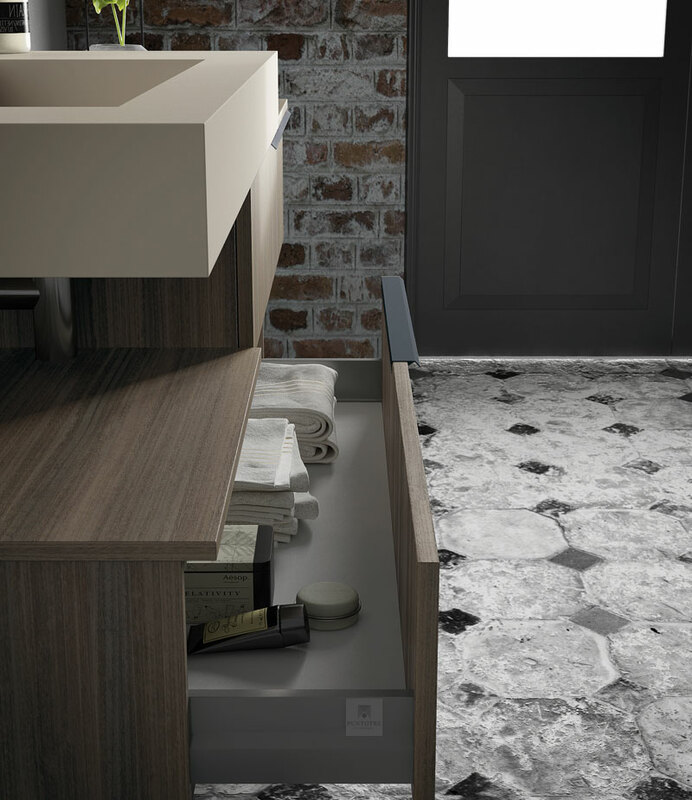 The base units in a Sablé melamine finish closely resembling eucalyptus wood are opened via a discreet handle that can be ordered in a lacquered finish, almost looking like a strip of metal simply balancing on the edge of the drawer.